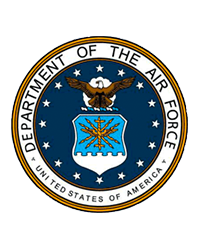 CMSGT (Ret) Daniel Flynn, United States Air Force, of Niceville, Florida, passed away and entered into Heaven’s Gates on August 26, 2018 at the age of 82. He was a 30-year veteran of the USAF that included one tour of Vietnam in 1971 and accommodations for bravery, service and achievement including 3 prestigious Meritorious Service Medals. Upon his retirement from the military in 1985, Daniel worked 11 years for the Civil Service. Not one to take it easy in retirement Daniel volunteered his time with The Niceville Exchange Club and RAO Program. He was born on February 15th, 1936 in Pawtucket Rhode Island and is preceded in death by his parents; James and Cecelia Flynn, brother James W. Flynn and sisters Elizabeth C. Duff, and Maureen Paine with three surviving sisters; Helen V. Brassard, Peggy Marshall & Patricia Grieve. Daniel is survived by the love of his life, Dorothy and they were married for over 62 loving years. He was devoted to his wife “Dottie” and his family. They brought 2 children into this world Pamela Diane Flynn Bonanno and Daniel Michael Flynn (spouse Cara Beth Flynn). 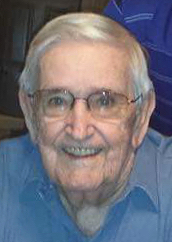 He leaves behind 2 grandchildren; Miranda Megan Vinson (spouse Johnny Charles Vinson) and Rachel Nicole Flynn and 3 great grandchildren; Ella, Jack and Malia Vinson. We would like to extend our sincere gratitude to Dr. Thomas L. McKnight and staff, Twin Cities Hospital and staff and Emerald Coast Hospice for their dedicated care. A Celebration of Daniel’s life will be held on Thursday, August 30, at Heritage Gardens Funeral Home, with visitation beginning at 1:00 pm and a memorial service at 2:00 pm. Followed immediately by interment in Heritage Gardens Cemetery. For those who wish, please donate to the Dementia Society of America www.dementiasociety.org or the Alzheimer’s Foundation of America www.alzfdn.org in his name.